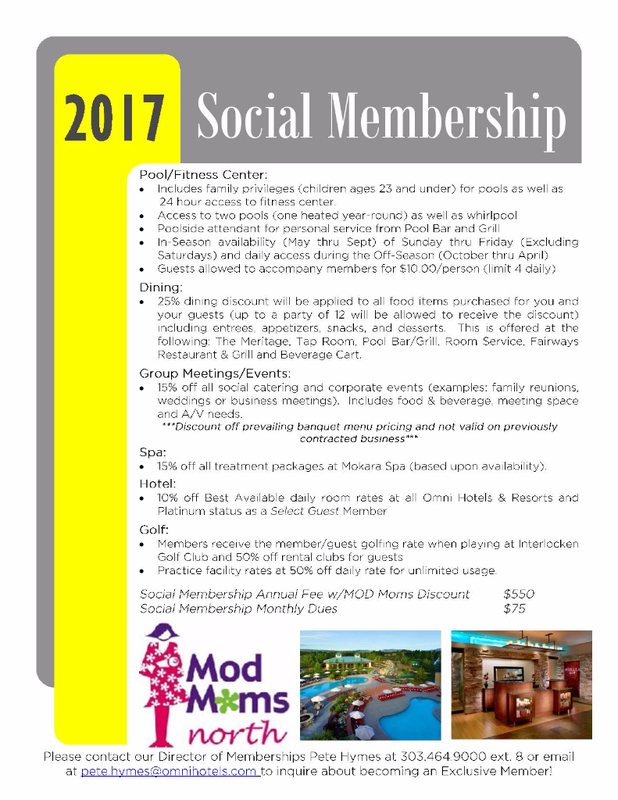 OMNI Interlocken Resort - Social Membership - Get Involved. Make Friends. Enjoy Motherhood. Please contact Pete Hymes, Director of Memberships, at (303) 464-9000 extension 8 or email pete.hymes@omnihotels.com to inquire about becoming an Exclusive Member!